A word to the impatient...if you haven't got the time, patience or inclination to sit through para after para of me rambling through my story, click here to get to the good part. It's that itch. 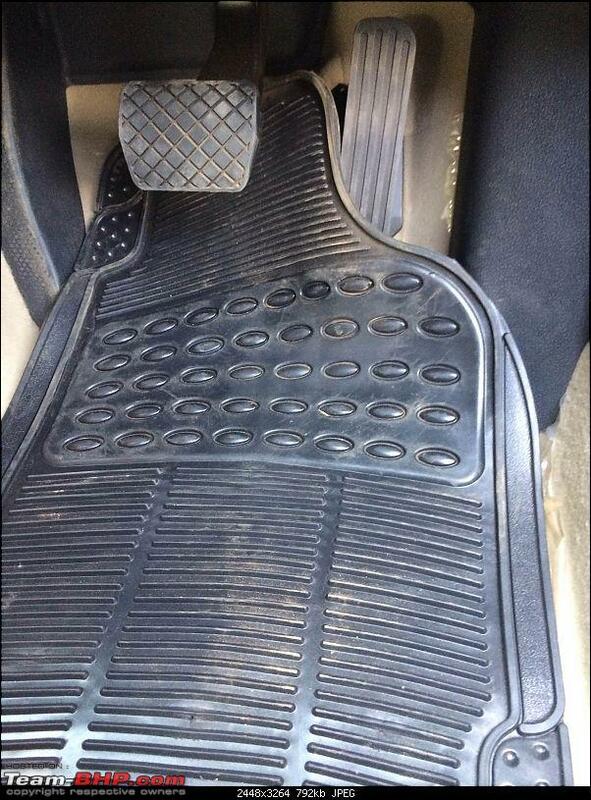 All car owners know it. After a certain point, your current ride just seems that bit inadequate, that bit slower than usual, that shape forming in your rearview is of a new object of desire you lust after. It's an itch that every car lover has to scratch every now and again, some more often than others. For me, that itch surfaced last year, but I was always able to keep it at bay with one or the other explanation, some logical and some not so. But then the heart wants what it wants, at the end of the day, and reason is not something it responds to or understands particularly well. 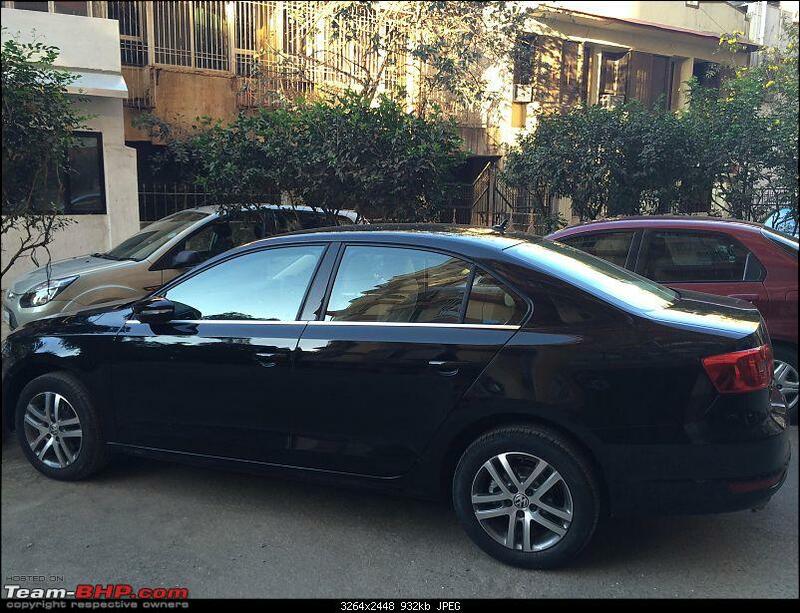 I had picked up a grey color Honda City on December 17th, 2011 (this is a mildly interesting point I'll come back to later), and in almost every way it was perfect for me. It was spacious, it was practical, it was nice to look at, it had a great big boot that gobbled up all the bags I could throw at it (and this was vital since I do a lot of airport runs), it was reasonably nice to drive and the A.S.S. was flawless for the time I had it. It ticked off a lot of boxes, save one. And it was a big one that burned a fairly decent sized hole in my pocket. I don't even need to give you three guesses, because you're reading this so I'll go on and assume you're fairly intuitive and intelligent. My monthly running was about 1000 kms at the very least, and with time my fuel bills started to touch 5 figures a month. Maybe this is a purely psychological thing, but as long as the bill would have stayed at or less than rs. 9,999 i'd be fine. Pay that one rupee extra and all sorts of ideas started brewing in my head. Everyone talked of the deregulation of diesel, but let's face it; yeh hai india meri jaan. There is no political will or desire to upset the applecart by deregulating diesel. To do so would be political harakiri, and no one would be so noble or brave as to commit seppuku in such fashion. And so, fuel hike after fuel hike my will to hold onto the City was eroded away paisa by paisa. Diesel it must be. But check as I might, I found nothing worthy of an upgrade. And I did want an upgrade. Taking a sideways step made no sense, so the Verna, Fiesta, Vento, Rapid, et al went out the window. I'm a choosy so-and-so, and SUV's, compact or not, were not for me. They don't have the looks, the chutzpah or the character I desire in a car and the only one that could have swayed me towards it was the Ecosport. That it didn't is another thing altogether, and something I'll address. I was willing to wait, but i found nothing worth upgrading to and so that wait was particularly long drawn out. Through 2013, I kept an eye out for a car worthy of taking me to motoring nirvana (or a semblance of it), but none that caught my eye. And so the wait continued. I ended up selling the City on December 17th, 2013, exactly 2 years to the date I bought it. I was concerned by the fact that resale would be hit on two different fronts. Firstly, the year was changing and so everyone would bring up that point. Second of all, the new City was launching in Jan '14, so prices would definitely take a bit of a hit. That it was a petrol automatic affected resale in itself, but no matter. It had many takers in the few days it was on the market, and after haggling and going back and forth with many prospective buyers, I finally shook hands on a deal on the evening of December 16th. I must say that as I saw the car being driven away a heavy sadness weighed down my heart. The City was a loyal, utterly reliable companion for me and I have not a word of complaint against it. Call me a sentimental fool, but it felt something like a breakup and my heart sank as I realized I'd never see it again. If anything, my experience with it made me think of the all new City as a very serious contender, especially given the fantastic feature list on the top end version. I knew in my head that there's a bigger chance of finding a snowflake in hell than me buying the new City, but the City had well and truly tugged at my heartstrings. What is it about cars, these mechanical collections of moving bits and bobs powered by dinosaurs that moves our souls and touches us so deeply? I haven't a clue, but I guess all of us get what I'm on about. There was an ulterior motive to my selling the City though. I am a lazy son of a gun, and I knew that by selling the City I would be forced into action. And so it was to be, for being car-less in the big bad city was not an option I was looking forward to. I started evaluating a lot of cars as I narrowed my decisions down. Here's my ill-considered, highly biased opinion of what i thought of all the cars I saw as options. Last edited by iliketurtles : 9th February 2014 at 21:16. While my mind was quite the cluster-fest when it came to deciding on the next car, my slightly worse half had a very simple consideration that I had to keep in mind. This got me thinking. Either she was profoundly wise or I was profoundly stupid (maybe it's the other way around, for she did decide to marry me), but I just didn't get what she meant. Didn't every car have a rooftop, technically? Did she perhaps want me to have a convertible? I hope not, it's way too early for me to have a mid-life crisis, and I do not take kindly to the notion that I am staring one in the face. A bit of poking and prodding later, I realized what she meant was a sunroof. Again, just to highlight her never-ending wisdom. Wahi wahi. Sunroof, rooftop, what's the difference? To be frank, I am not fussed when it comes to sunroofs. I think it's a nice to have feature that's a bit useless in our weather. I can swear that my friend's Cruze has seen its sunroof being used all of 4 times in the last 4 years, and one of those times was when we were taking turns standing up and waving the tricolor for all we were worth, screaming ourselves hoarse. But, since a special request was made by The Lady, The Dude (moi) would abide by it...mostly. And so, here we have the contenders, with or without rooftops! The Toyota Corolla Altis: In a word, no. Just no. It screams perfect replacement for the city. It's spacious. it's sensible, it's more reliable than Rahul Dravid in a long-term relationship. It takes everything the City does well and amplifies it further. It's also as much fun as watching paint dry. It is a well engineered car that will run all day long without missing a beat, but it cannot tug on the heart strings of someone that wants a somewhat spirited car to serve the dual nature of an everyday drive and a highway rider. I think Toyota's service reputation is very well documented and earned, and if it had more heart I would certainly have gone for it, but as it was there was no way I'd go for it. Maybe when I'm 50, but abhi toh main jawan hoo, baby! I didn't even bother with a test drive. Why waste time? The Chevrolet Cruze: It's got as much power as a nuclear missile, and it's got more features than almost everything else in its class. Looks great as well, which is always a nice thing since everyone likes some eye candy. But look closer and the warts begin to show. It couldn't beat the City for space at the back, and that sharply raked roofline ensured a 6 footer would find his hairdo messed up after a ride. Throw in the fact that it used cheap quality plastics liberally, and it starts to make very little sense. In some ways, it was a definite upgrade but in many other ways it was much the same as the City. Yeh dil maange more! In fact, my wait went on so long that the 2nd facelift of the Cruze came along too, but I felt they really messed up the grill and bumper just for the sake of it and added a few features, meaning that while this was a worthy contender to the throne (a top 3 choice for me for sure), it really was more of a pretender that flattered to deceive. The Cruze was a no-go for me, and while I'm on the topic of the Cruze, allow me to say this: their color choices are pathetic. The only colors I liked were Black and Diamond White, that's it. The Cruze would never win this battle, and I can only make an argument for it on the basis of price. Is this what the mighty Cruze is reduced to? Being a price warrior? The Hyundai Elantra: You know those supermodels that look so stunning but are so incredibly vacuous, boring and without any personality of any kind? The Elantra is it's automotive equivalent to a tee. It's loaded to the gills with features and looks gorgeous, but does it have to be so disengaging as cars go? I was looking for my next drive to posses the 'F' word even if in modicum (fun, in case you were wondering) and the Elantra was more fashionable than anything else. A wonderful accessory, but I know I would have fallen out of love with it in no time after a prolonged period driving it. My eyes are riveted every time I see an Elantra in the flesh, but it was never the car for me. Tasty pricing, but the dish itself left a lot to be desired. P.S: That hourglass shaped central console is plain weird. There, I said it. The Renault Fluence: Many praised it's manners on the roads, with ride quality that is best-in-class according to some. But it has the kind of looks that I find forgetful, which is to say I'll see it once and then not remember anything about it. There's one that stands in my building, but I swear by all the gods, all I remember about it is that it is black and has nice alloys. It's truly unremarkable looks knocked it off my list, although the fact that it seems to be a bit of a market dud played its part too. The Ford Ecosport: Aye carumba, baby! With looks to kill for and a feature list as long as my arms, the Ecosport made a lot of sense, but it's limited boot space was a problem for me as was it's massive waiting period. Eight months to a year? You must be joking, I would never wait that long for a car. Remember, this isn't a Ferrari being hand-built just for little ol' me at Maranello. I get the appeal, but I can't stomach the long wait and poor boot space, which really was a dealbreaker for me. So out it went. That it was hit with two price hikes just justified that decision for me a little bit more, as I just don't see the Ecosport being the VFM proposition it was. Shame, she's a looker and I love what ecosportrules has done with the lights. It was well priced to begin with too, and while it wasn't exactly a sensible replacement of upgrade on the City, I did quite like the car. The all new Honda City: It's bigger, but is it better? Not by much, and it's got the kind of looks that can really polarize opinions. That gaudy chrome strip, swooping lines and horrific alloys really doesn't do the car any favors. Yes, it has a lot of nice features but to me it still represents a sideways step, and those looks are something I cannot stomach. It looks nice in black (at least in the photos! ), and when I saw the car in the flesh I did quite like the car, barring that horrid grille and those ghastly alloys. But this is not something I could see myself living with long-term, so why pick up one when I know I'll be bored by it in a year, maybe less? Out she goes. The Volkswagen Jetta: Before the facelift, it made no sense to go for the Jetta. It was overpriced by lakhs and shorn of many features you can expect to find in cars sporting a similar price tag, some at half the $$$$, such as keyless entry! 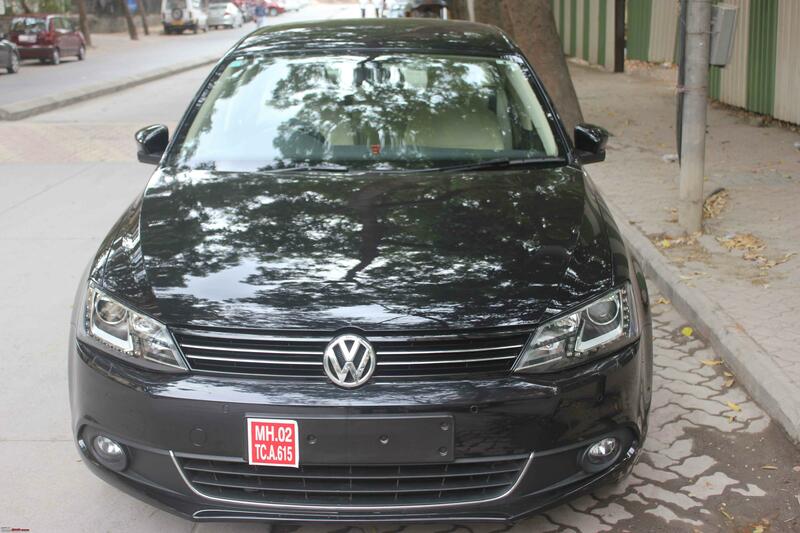 The facelift, however, has made a world of a difference to it and if you liked the Jetta earlier you will love it now. From being a car I found eerily similar to the Vento (purely on appearances, mind you), it went to being a mini-Passat in my eyes. I've really struggled to tell the two apart whenever I've seen them on the road, and it's only the rear profile (and relative size) that gives away the differences to me. I am not too fussed about the lack of some features I'd like, but the Jetta doesn't have the option for a "rooftop" and so by the end of December it was ruled out by the missus, sadly. Bye bye Jetta. Let's have a moment of silence for it. And so it was that we came to a conclusion. We finally had a winner. Last edited by iliketurtles : 9th February 2014 at 21:26. 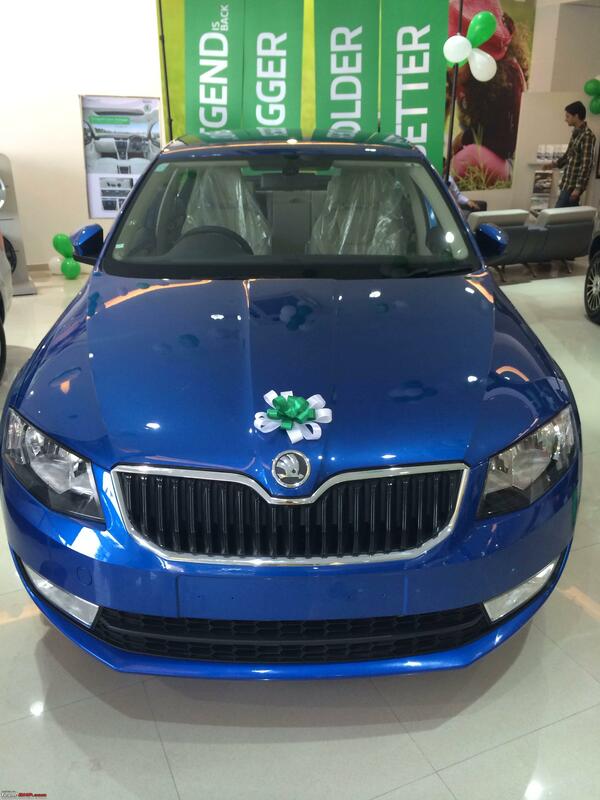 The all new Skoda Octavia marked the return of a legend. But the only resemblance this car had to its namesake was the badge itself. While the legend's lore was built around its reliability, fun and frugality, the new Octavia is packed with more features than you can possibly remember at one go. That it was gorgeous is another big plus for it and this is a car that I loved from the get-go. Those headlamps, the blacked out panoramic sunroof, the colors, the features, the space, it all added up for me. Heck, even The Lady loved it since it had her "rooftop" (yay). 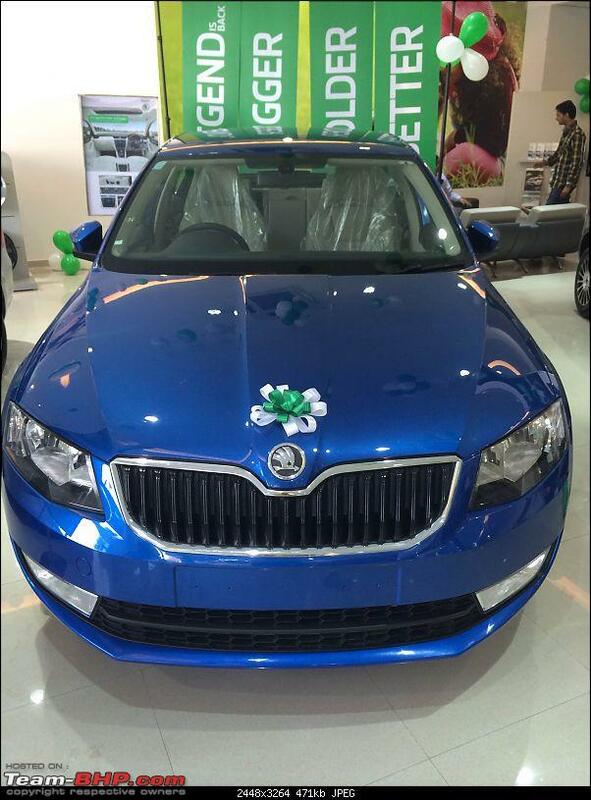 But the name Skoda carries with it a stigma. It's A.S.S. is even more legendary than the Octavia's name, and it made me very wary of going with it. It's big, it's beautiful but could I live with a car that's hamstrung by poor service? Possibly, given there's always another car at home. Would I want to do so though? Hell no! What pushed me over the edge then? What persuaded me was a test drive that confirmed the Octavia was a very good car, price and the use of a torsion beam at the back notwithstanding. It's feature list (which I don't need to elaborate upon) made the car feel well and truly like an upgrade. What really sealed the deal though was seeing the car in the flesh in Race Blue. As I strode into the showroom boldly looking to conquer all before me (not really, the slight squeaking of the glass door being opened made me feel very self-conscious), the sight of the lady in blue took our breath away. It must be seen in the flesh to be believed, it was a sight for sore eyes, the kind poems are written for and wars are waged over. It blue my mind. Ok, bad puns aside, you get the picture. So here's a picture. I then decided to put all of my considerable powers of negotiation to use and get the best deal possible. 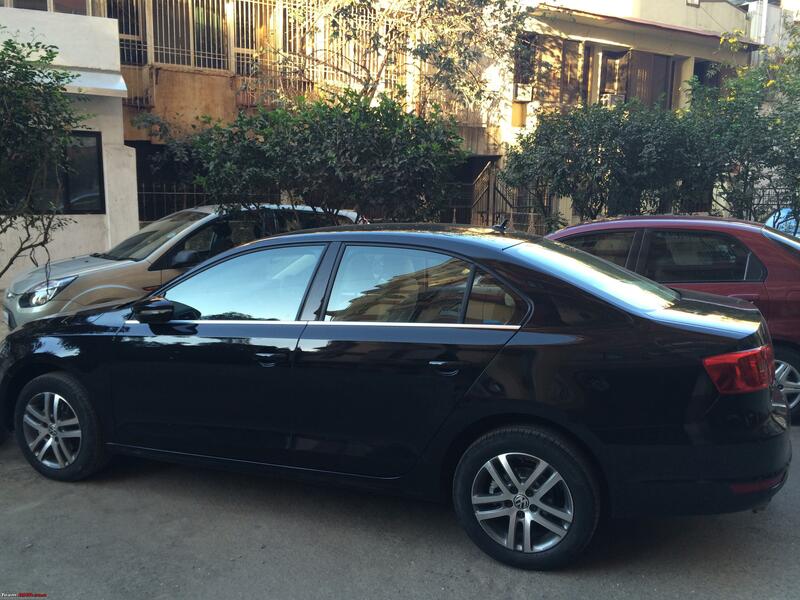 The car is by no means a bargain, but that doesn't mean I can't haggle like all Indians do! After being firm and massively persuasive, I managed to get absolutely zero discounts on the Octavia. All I could get JMD to do was give me insurance at the exact same rate I was getting it outside. Yay, small win for me! I handed the booking amount on December 23rd and was pleased as hell with myself. 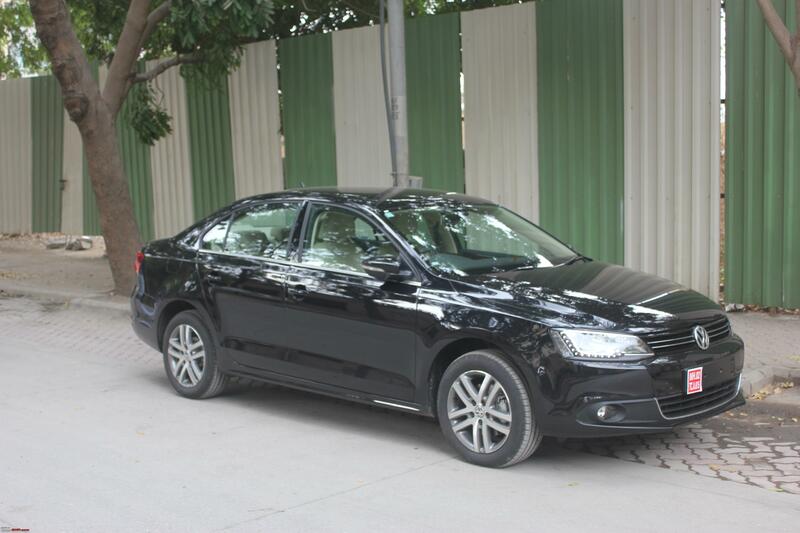 I was told that I would get a 2014 car (I insisted on this) in about 15 weeks, which I agreed to and made a booking for the 1.8 TSI purely on the basis of the word of mouth on Team BHP, no exaggerations there. 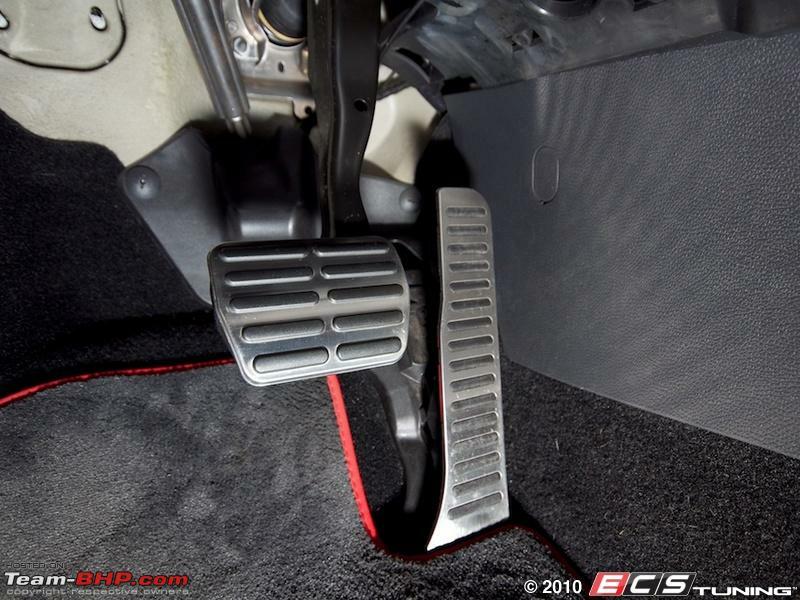 a) the 7 speed DSG is best avoided. 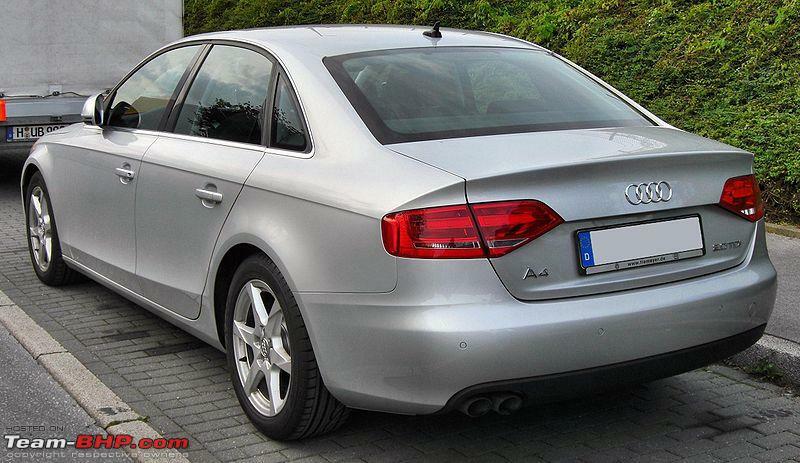 b) the Europeans make superb diesels, and their petrols are a little hit and miss. Reluctantly at first, I switched my booking to a 2.0 TDI highline but the more I thought about it, the more it made sense. The tipping point for me was the series of price hikes within 2-3 days that happened in January. It defied all conventional logic, but then logic was never the Indian babu's forte. This time, I was sure of it. Diesel. It. Was. There was no turning back. You see, I was told that by 15th Jan I'd have an allocation date given to me. I was cool with the 15 week prediction from the outset, but as time passed I knew there is no way that I'd be able to get the car by that deadline. The 15th of January passed, as did the 20th, and the 25th too was just another date on the calendar with nothing eventful to talk of. At first the sales rep at JMD Skoda wasn't answering my calls, which she later explained as her being on leave. Fair enough. Funnily though, when I happened to call the JMD showroom asking to be put through the manager so I could merely get allocation details or be told what's up with it, the receptionist said he wasn't in either! Ok...odd, but then I asked her to connect me with anyone who could help. To which I was told "no one was in the showroom". Yes, that's a direct quote. Mind you, I called on a wednesday (the 15th), at 3:00pm. Didn't know ghost towns and car dealerships could ever co-exist. I had a hearty laugh and cajoled the number of the manager out of the receptionist, and the manager simply said he'd check and call me back. I stare wistfully at the phone some days, hoping he'll call me, but he never does. What could I have done to hurt him so? Answers on a postcard please. It is the wait for a new car that is the most terrible aspect of buying it, and it was this wait that was making me wonder what my options were should I choose to move away. The Elantra? No way. The Cruze? I would hope not. The Jetta? The more I thought about it, the more it made sense. I had already touched base with a sales rep at Tornado Motors (Rohan) earlier in Jan, and after gleaning all the info from him, I had said I'd get back to him if at all I'm going with the Jetta. 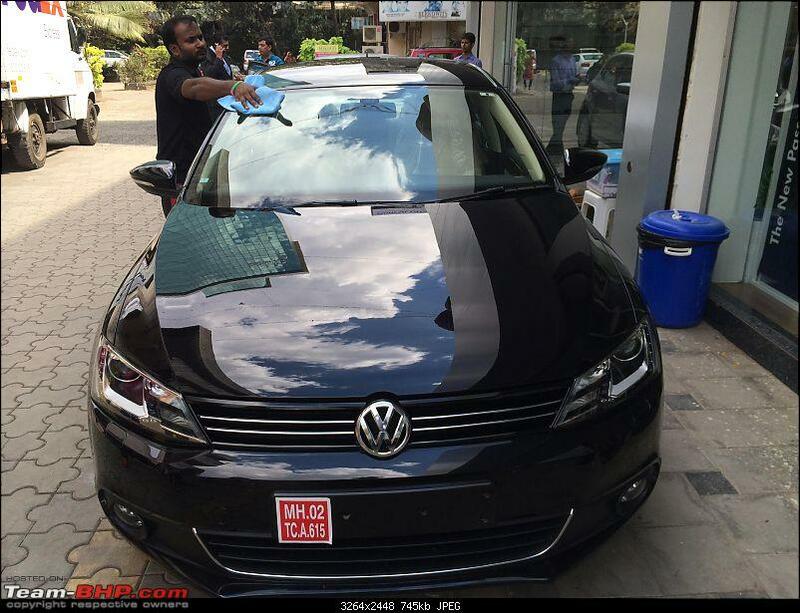 On 26th January, with the need for a car becoming ever so more prominent, I took the wife along with me to check out the Jetta, rooftop be damned. I had informed Rohan of my impending arrival, so the Test Drive car was kept ready for me and after some chit chat and the usual handing over of the license, we were off for a nice little drive. Now, everyone kept on saying that the multi-link suspension makes a big difference, but I wondered to myself...really, how much different could it be? The answer, in a nutshell, was very different. Undulations in the road were absorbed in a manner almost sponge-like, the suspension didn't let you know it was hard at work (if that) and the car just felt solid. Another first; I had never experienced the "thunk" of a solid car door closing on me. It was so reassuring, so...tijori like. It was a little detail, but it was everything. It was intoxicating. I chose a stretch of road that let me gun it a little (Lokhandwala's back road, if you must ask), and let 'er rip as much as I could. The paddle shifters instantly felt so welcome, with me managing the revs at the flick of a finger. Rohan and an unidentified fellow sat in the back while The Lady and I chatted about the car. I'll spare you the details, but I told her that regardless of anything else, I liked the car and that's the bottomline. Sure, it might lack some features, but critically the suspension was so much better and refined, and the paddle shifters were a big deal for me too. Being used to it on the City, I was mulling paying for an OEM steering wheel with paddle shifters even if it meant paying Rs. 30-40,000. That's how much I wanted it, and I told her so. 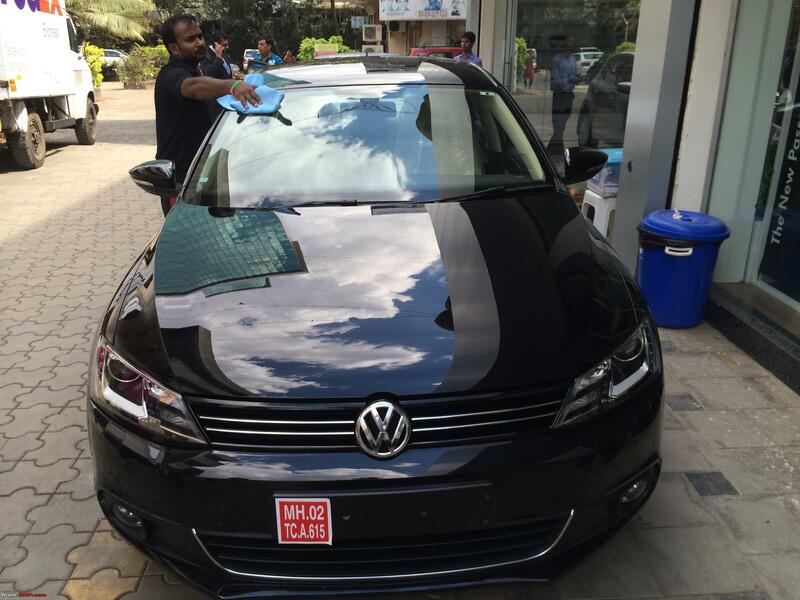 She has a point when she says a 2 million rupee car should have a sunroof. But if push came to shove and I had to choose between my next car having a sunroof or this suspension, it's a no-contest. Sunroofs are a luxury unsuited to India and while memory seats would be nice to have, its absence is nowhere near being a deal-breaker for me. Here's the thing though; the Jetta was only Rs. 50,000 cheaper than the Octavia before any discounts, but was told earlier by VW that there were no discounts on the facelifted Jetta. That's where I had left the previous conversation since I was holding onto the Octavia booking at that point. The Jetta is nice, but not without the deal being sweetened somewhat. I was sold on the car, but I would only go for it if I could wrangle some discounts out of the dealer and if I could get the car ASAP. This was no ordinary task at hand...it was a job for Convincing Man! Long story short, here's what I wrangled out of them. c) an extra rs. 30,000 that they refused to put on paper since they claimed that VW is not offering anything else other than A and B and that this is from the dealer's own profit margins. I don't buy that, but hey...gimme!! d) a waiver of the handling charges. Yay! All this took the price down to about Rs. 22.69L, give or take. That's about a lakh cheaper than the Octavia, which makes a big difference especially since the multilink suspension and paddle shifters are big pluses in my books! The Jetta suddenly became so much more compelling, and it must be said that the VW dealer (Tornado Motors) was far more aggressive at closing the deal compared to the guys at JMD Skoda. That's probably because the former knew that if I stepped out of the showroom without being sold on the Jetta completely, I'd probably not go for the Jetta at all, ergo his eagerness. I was given a firm commitment of getting the car by Feb 20th, maybe earlier but no guarantees offered of any kind. No problem, good enough for me (even if it was a small leap of faith), and I went back with a cheque for the booking amount that evening itself once we agreed on the discounts. And so the wheel has been set in motion. The Octavia was nipped in the bud, the Jetta won the day. I'd miss that gorgeous blue color on the Octavia more than the sunroof or memory seats, but I can lust after it in pictures or whenever I set my eyes on one driving by. I believed that was that. I was doing the usual follow-ups with the dealer for finance and what not, staying on top. On 29th January though, I got a call from Rohan (the sales rep) stating someone had cancelled their 2014 black Highline Jetta and if I'd like to have it. The answer I gave to that question is the same one you'd get if you were to ask "Is the Pope Christian?". It was a firm, resounding yes. 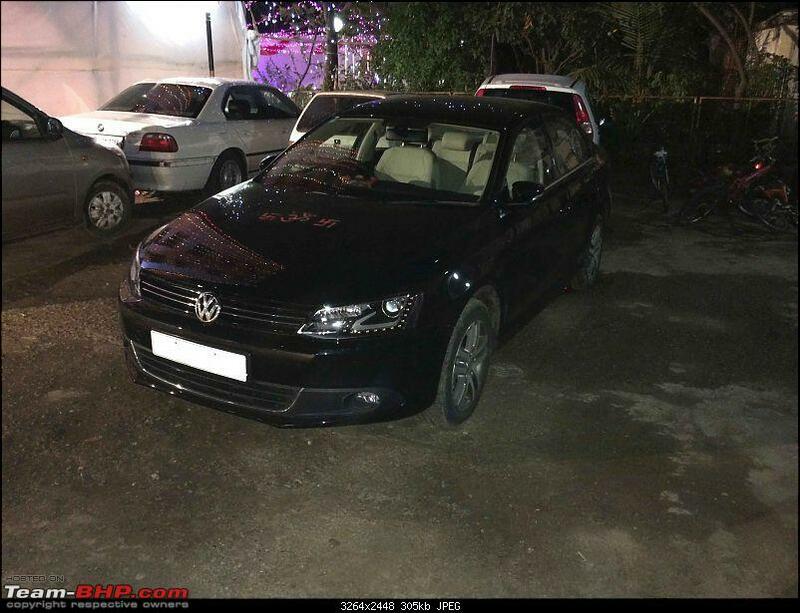 By Jan 30th, I had the VIN number (showing the car was imported in Dec 2013 and was a 2014 manufactured car) and the car was with Tornado Motors by 3rd February. I intimated Tornado that I'd like to take possession on February the 8th, but circumstances contrived to ensure that I would not be able to do so on the 8th. Thus, the date was shifted to something a touch more romantic; February the 14th. To paraphrase the advert, this was to be my day of love! This experience of mine was poles apart from the one I had a few years back when we went for a test drive of the Vento. We got no follow-up call, there wasn't much interest or effort made to sell the car and I walked away smiling quietly to myself, wondering just how these European cars sell themselves with such little effort expended by the dealers. What a world of difference a few years makes. I was prepared for a distinctly unpremium experience despite being ready to shell out 22 big ones, but I must say Tornado has won me over. I hope the ownership experience will be as good. Last edited by iliketurtles : 9th February 2014 at 21:37. I mentioned to Rohan how I'd like to do a PDI of my own before taking delivery, something he reluctantly agreed to since "no customer has ever asked to do one himself". Really? I'm his first? Feels good to be the special one! Long story short, the PDI went off without a glitch and I took delivery of the car on the 14th of Feb, our day of love. The only fly in the ointment was that the number plates had not come through by the time I took delivery, and I knew of this possibility which is why I did my due diligence on which documents I would need to have to avoid being hassled by the coppers. I got the plates in a day, and the brass did not so much as cast a sideways glance to ask what my deal was. No problemo whatsoever. In the 2.5 days that I have had the Jetta, we have clocked 150 KMS, all in the city. Why wifey too has driven it a fair bit and she was thrilled by the refinement, power delivery and smoothness of the car just as I was. I don't think I've ever seen her enjoy a car this much, and I've certainly never seen her motor along with a half-giddy smile on her face. This is her (and my) first diesel ownership experience and rooftop or not, the Jetta sets a very high standard for excellence. It is, without a shadow of a doubt, a fantastic upgrade on the City and something I will love to drive for some years to come still. -The multi-link suspension smoothens out the city's craters quite nicely, although some of the bigger ones do filter through. -Brakes have serious bite. Better to have more than less, and I've quickly learnt how only a light dab of the brakes are needed. -That quick-shifting DSG! Maybe DSG should be an acronym for Damn Slick Gearbox? -Best-in-class Diesel engine for my money. The Cruze has more power, but this uses its power much better. What's more, it's a powerhouse that's economical too! -Some hard quality plastics abound, but they are masked by the quality of coloring. -Goodyear tires must go, and they have! -Black is a hard color to maintain. It rained on the very second day we were tootling around town, and I realized how hard it's going to be to keep the car looking new. No matter though. -It is an expensive proposition. A difference of 3 lakhs to the Cruze and Elantra is no laughing matter. My friends call me Mallu Richie Rich, and I sadly don't see that ending any time soon. -After sales is an almost unknown commodity. -Paint protection, perhaps? Thoughts, anyone? -Could some kind soul help me out on how to make the car do a needle sweep? It looks cool and I'd love to be able to add it via whatever little tinkering it takes. And now, for your viewing pleasure, here are some pics you can have a dekko at. Or not. Whatever, it's a free country. Mostly. Wax on, wax off. Mr. Miyagi has taught him well. The key to happiness. I'm the guy wearing the tablecloth-like shirt, if you must know. Nice dash, lovely steering wheel. Note the faux wood accent. Wifey claims it looks so much like an A4 from this angle. I think she needs glasses. And here she/he is, nestled safely at home. I hope to and will strive to keep this thread active. Thanks for reading this far. If you've cheated and jumped to the end, you should feel guilty. Ciao for nao! Last edited by iliketurtles : 16th February 2014 at 16:13. Reason: Because I can! Congratulations for the black beauty. Congratulations, the FL headlamps make it look much more upmarket. I thoroughly enjoyed reading the report. Excellent choice on changing the crappy Goodyears too. 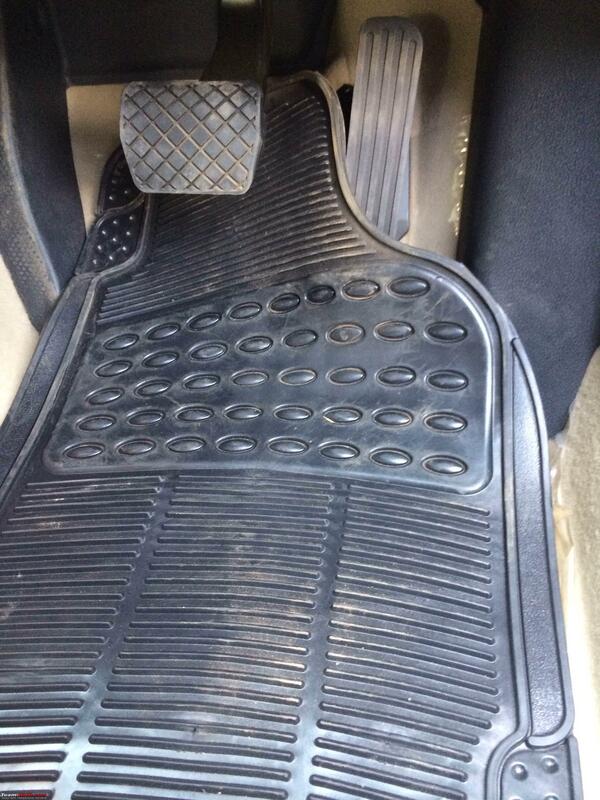 As for the mats, just use a scissor and cut them so that they don't go over the pedal. Now also find someone with VCDS and see what else you can activate. Oh, and in Mumbai conditions be prepared to call someone like Kamyo home to get detailing done twice a year at least to keep that black looking perfect. Last edited by Akshay1234 : 16th February 2014 at 19:09.
congrats on the car mate! Wonderful narration and it was quite an eventful twist in the story.Didnt expect you to buy a Jetta after the thread you had created. Do we get black interior option in the Jetta? Congratulations. Excellent choice and I agree Paddle shifters have certainly made it a very sweet. I wonder if there were other color choices? 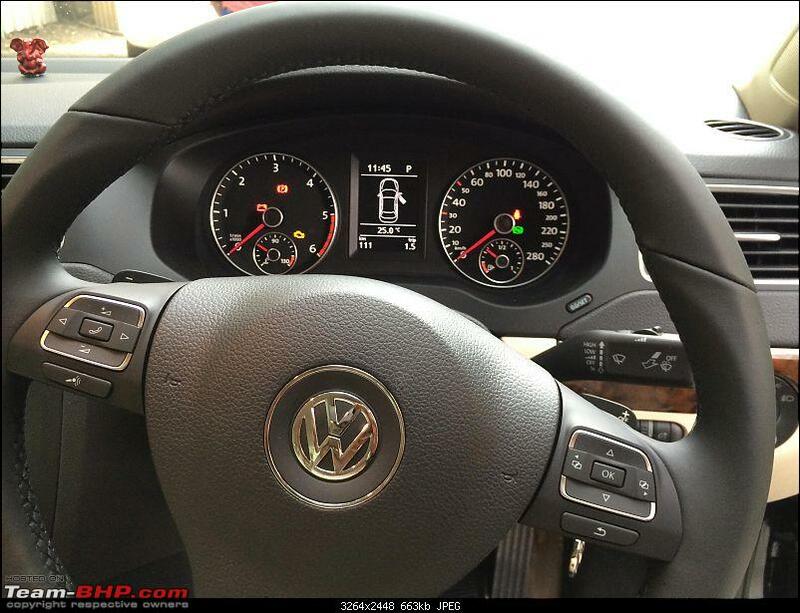 Passat comes with some really nice choices which are very classy in looks. Not sure what you were offered. Happy million miles with this beauty! Thank you for reading through Akshay! I agree completely about the headlamps, it has really made a world of a difference to the way the car grabs you at first glance compared to the earlier Jetta. I fully intend to read up on the VCDS cable and how to use it, got to know what can/can't be done and how to do it. Don't quite know anyone with a VCDS cable, but I'll start hunting high and low! As for detailing, I've got Kamyo and Motoshine on my shortlist. I like the fact that Kamyo can come home and do it all, but Motoshine is quite close to home too, and they've got some great reviews. One of the two will most certainly be the one for me, the car is a dirt/dust magnet. Personally cleaned it twice in two days to ensure I still had that new car feel! Thanks Dean The Jetta really came to the party very late into the day, it was always on my shortlist but the sweetened deal, facelift and shortish delivery time was enough to seal the deal for me. There's no black interior option on the Jetta as far as I am aware of. Beige is the color to go with for the Jetta if you ask me, makes the cabin seem lively and airy. It's a pain to clean beige, but you gotta do what you've gotta do! Thanks samyboy! There was silver, grey and white, neither of which my or I wanted. It boiled down to Deep Black vs Toffee Brown, and I wanted Toffee Brown so much, but the wife really was averse to it. To make matters worse, the dealer had a Toffee Brown Highline on display on the day of delivery and it looked spectacular. Everyone but the wife felt it was the color to go with for the Jetta. Ah well, can't win them all. I got to pick the car, she got to pick the color. Deep Black is lovely though, there's no denying that. Many congratulations! Wishing you many happy miles with her. 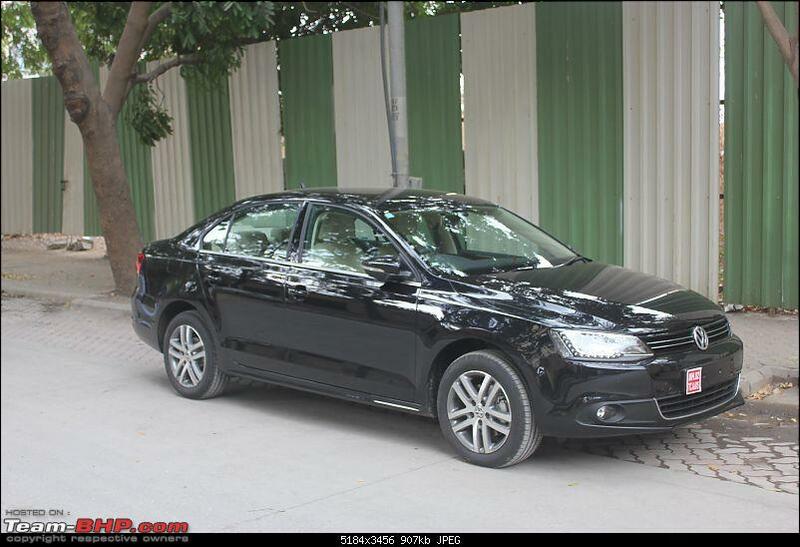 The DRLs on the facelifted Jetta looks great. Black shade = extensive maintenance! Be prepared for many facepalm moments when a coat of dust covers the car within minutes of driving her out of the car care outlet! When you are sourcing the 3D mats, get the Maxpider Kagu ones rather than the lookalikes and Chinese ones. The fit is much better and the newer ones come with Velcros stuck at the back of the mats so they stick to the carpet properly. Beige shade would gel well with the interiors. Could some kind soul help me out on how to make the car do a needle sweep? It looks cool and I'd love to be able to add it via whatever little tinkering it takes. 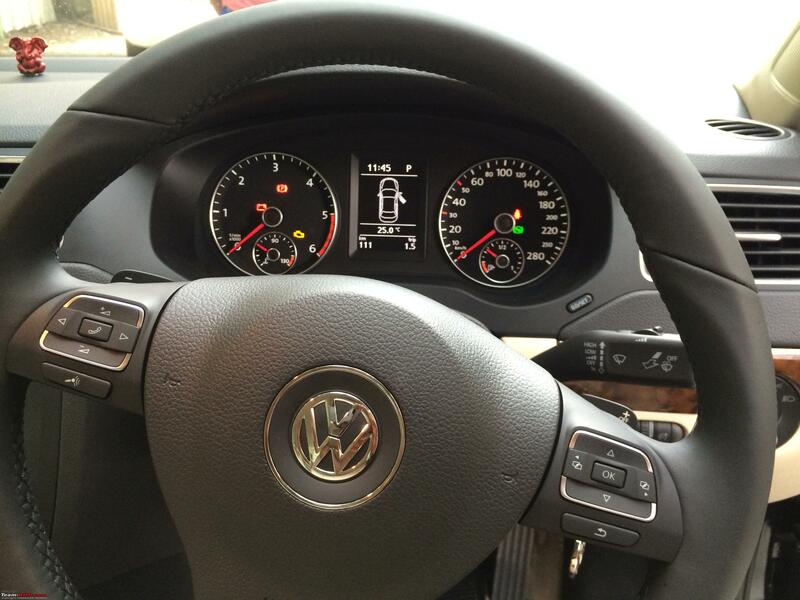 The needle sweep is called cluster staging and it depends on the type of instrument cluster installed in the Jetta. Some folks (abroad) were able to enable it whereas some others couldn't. Anyways, you are going to need a VAG-COM cable and VCDS software - the VW service centres have this software but they do not tolerate such requests from the customers. Unless your service advisor is a friendly chap! Last edited by Gannu_1 : 16th February 2014 at 21:22. When you are sourcing the 3D mats, get the Maxpider Kagu ones rather than the lookalikes and Chinese ones. The fit is much better and the newer ones come with Velcros stuck at the back of the mats so they stick to the carpet properly. Point taken on the Kagu mats. I was considering this one. Some that have used it on here (including akshay1234...I think) are quite pleased with it, but I am leaning towards Kagu right now, unless someone else comes along with an argument cogent enough to change my mind! Those pedals look yum! Will look into that too, the stock ones seem almost pedestrian in comparison. Lovely! Personally, I love the Jetta a lot! It's strong build, excellent ride and handling, fast yet frugal engines can put a smile on your face like . Sad that the new Octavia beats it, but some basic additions like DRL's, xenons and Climate control have made it a better package than before. 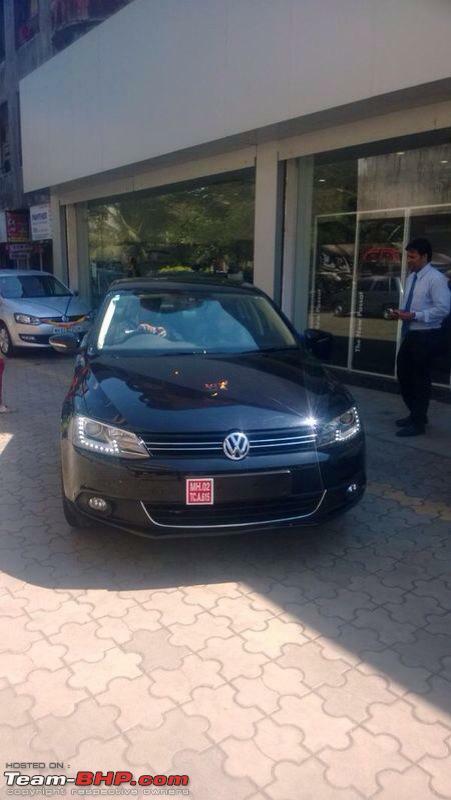 Especially, Jetta owners used to feel short-changed as the half-price Vento had more kit! This update changes it! Many many wishes to you and wish you many happy, fun-filled miles behind the wheel! Planning to give any mods to this sweet ride? You should check member Ayedongivadam's Jetta's thread, which has some really good mods! I'm still trying to find a used Mk 6 Jetta for a million ₹, else would have to move on with the Ecosport. P.S. Please post some interior pics with that new ACC! EDIT: It was member Krazydriver84's Jetta, which has some yummy mods and posted in Ayedongivadam's thread. Last edited by S@ndy : 16th February 2014 at 22:54. Back in Black! 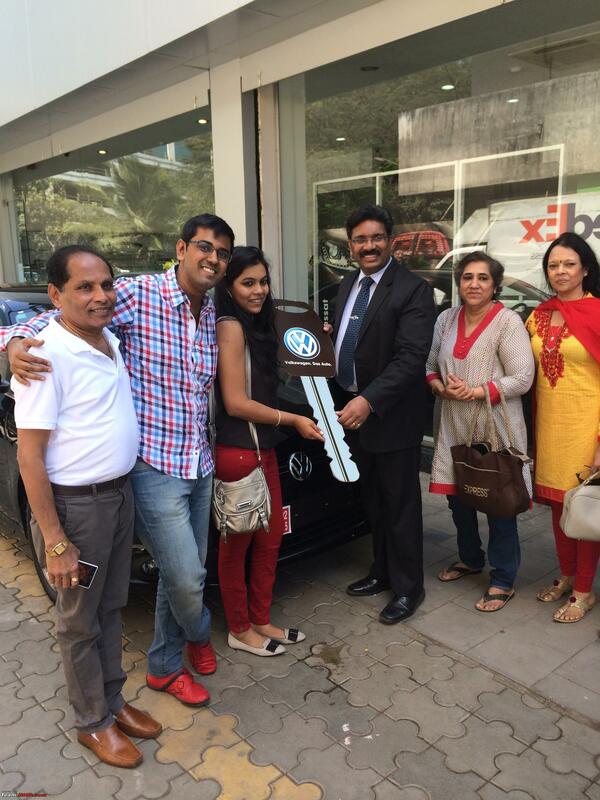 A VW Jetta Highline DSG comes home! Sad that the new Octavia beats it, but some basic additions like DRL's, xenons and Climate control have made it a better package than before. 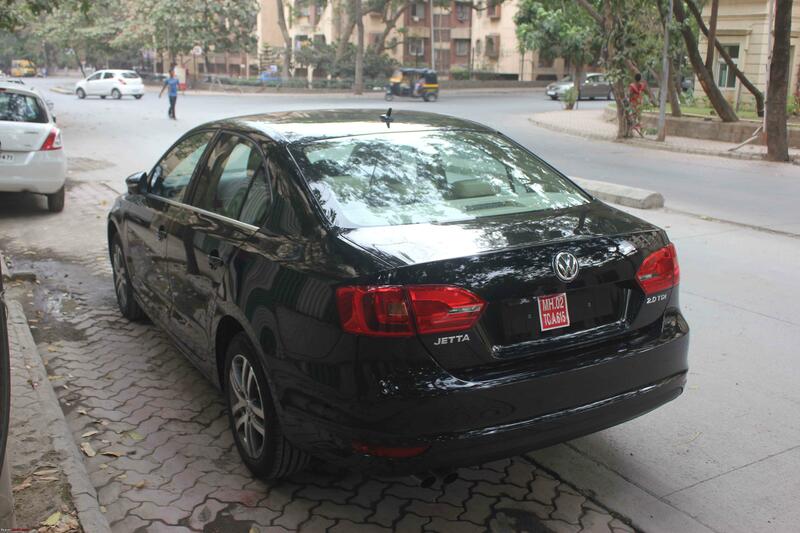 Especially, Jetta owners used to feel short-changed as the half-price Vento had more kit! This update changes it! Planning to give any mods to this sweet ride? You should check member Ayedongivadam's Jetta's thread, which has some really good mods! 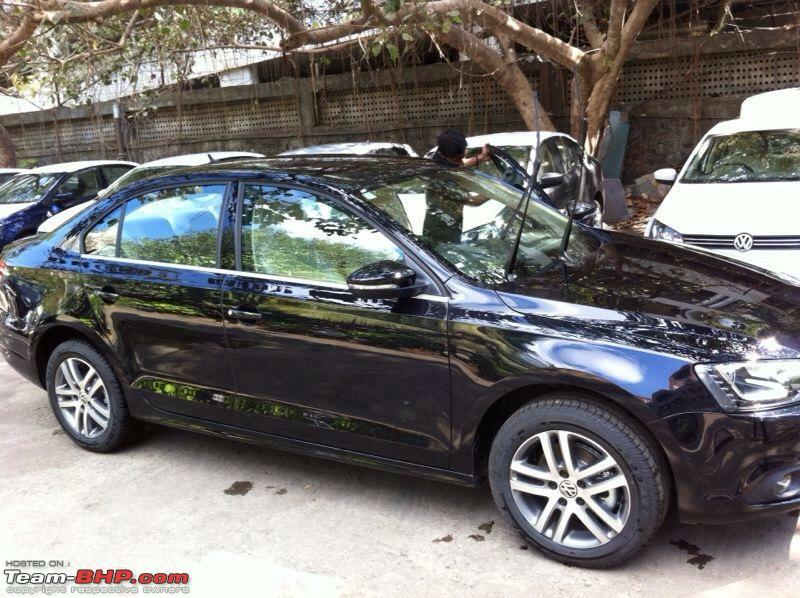 I'm still trying to find a used Mk 6 Jetta for a million ₹, else would have to move on with the Ecosport. Hiya sandy! Very true that the Octavia beats the Jetta on several counts. Without the updates, I honestly wouldn't have considered the Jetta. Even with it, many feel the Octavia and the Elantra to be the better bet. I read that thread religiously, and I remember that Jetta all too well. It is one heck of a desirable ride. I'm not planning any mods right now, not even short term. I'll perhaps remap it once I'm out of the warranty period. Beyond that, let's see. It's all up in that air at the moment. Will post interior pics fo sho, bank on it. Cheers! P.S: good luck with the hunt for the Jetta. Hope you get it, fingers crossed! Last edited by iliketurtles : 16th February 2014 at 23:09. Loved the way you have pinned the review. You sure have a knack of writing sir. 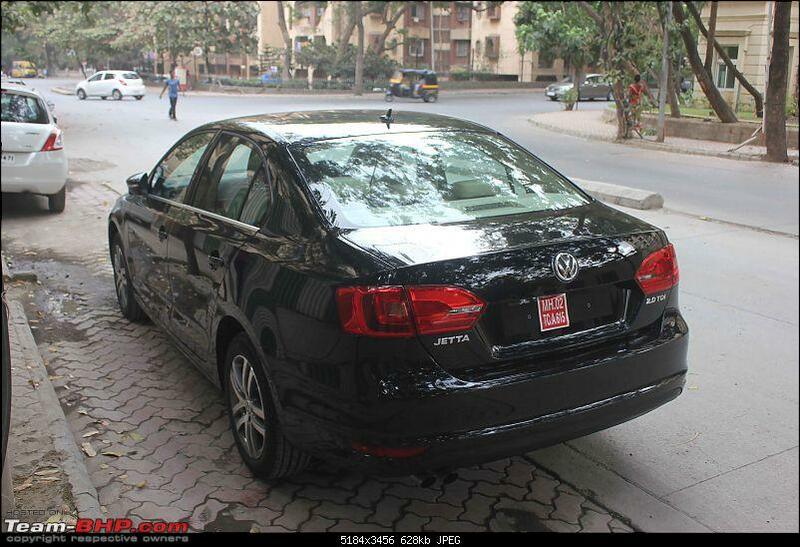 Jetta is the most logical decision car one can buy in that segment. I love that vehicle and hope I own it some day. 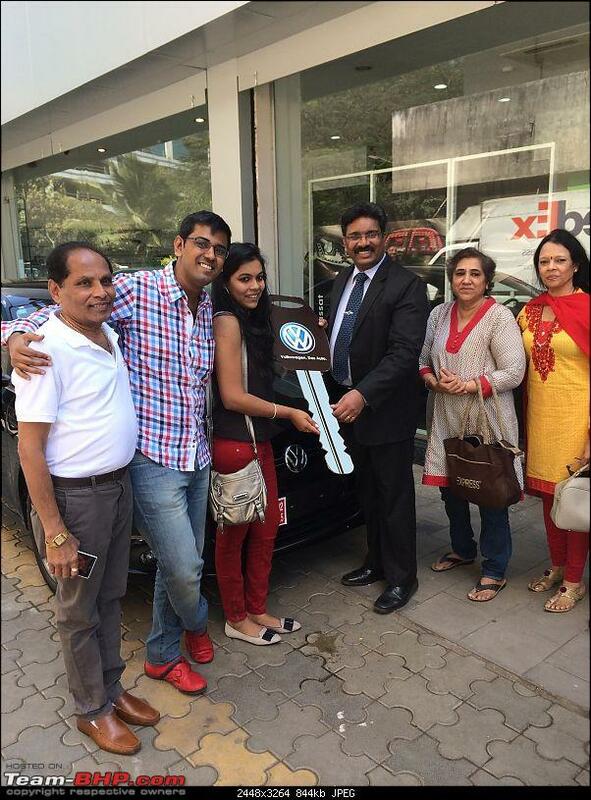 Congratulations on your purchase and many many happy miles ahead. All times are GMT +5.5. The time now is 09:58.